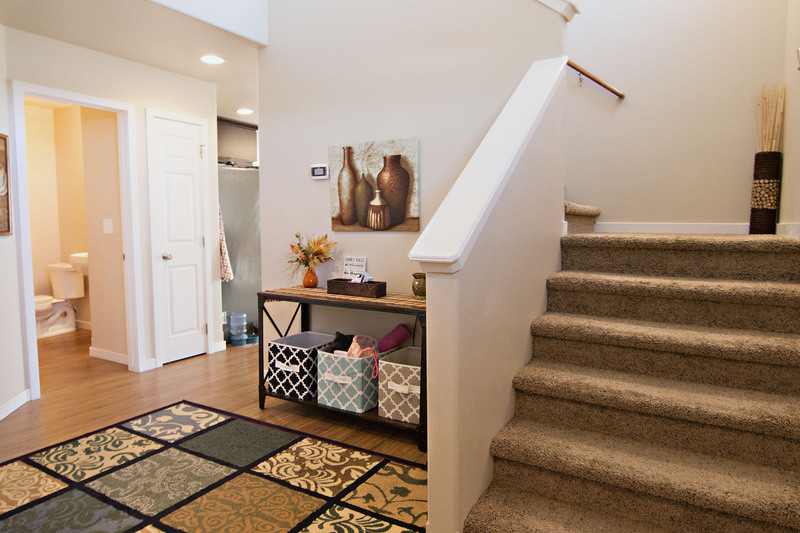 Looking to take the step into home ownership? Perhaps nothing huge, but turnkey with nice outdoor living space? Let’s talk about 5300 Glock Ave in Gillette, WY. 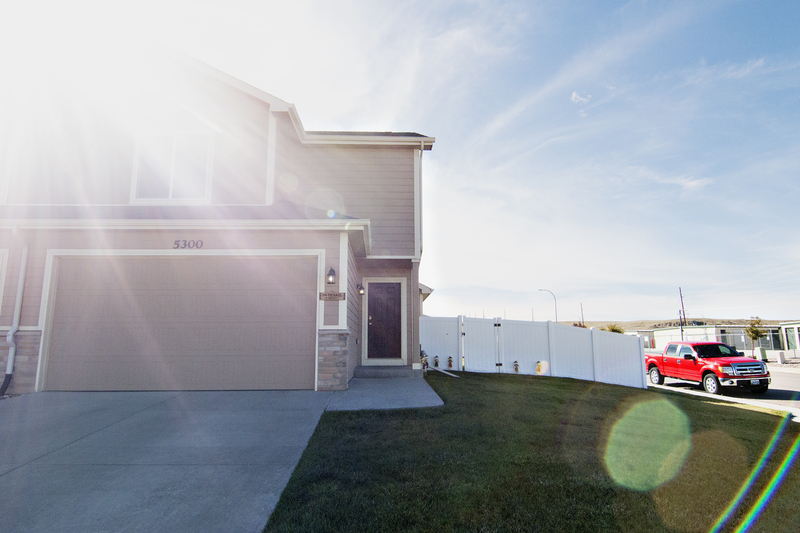 This newer townhome is located in Remington Estates, just down the road from the Rec Center and minutes from all the major stores and restaurants in town. Built in 2012, the home has been so well cared for that you’d never guess its age. The home sits at a total of 1629 sqft within two levels. You’ll find 3 large bedrooms and 2.5 bathrooms. 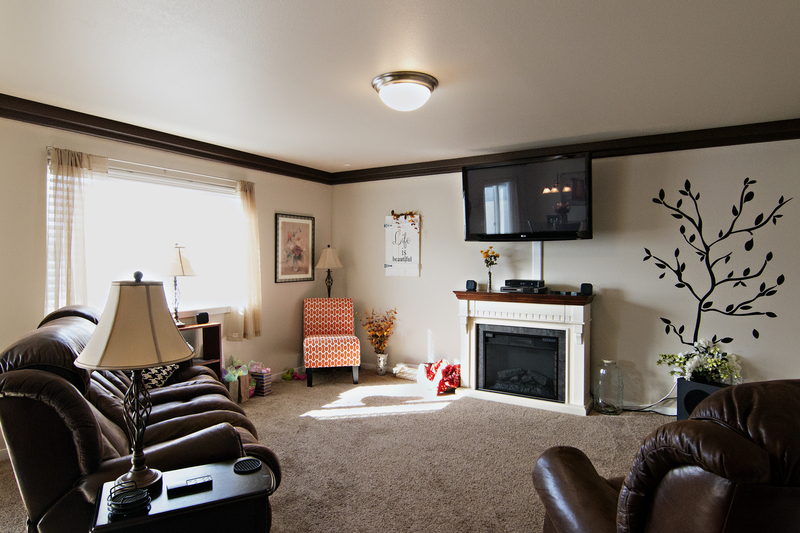 All of the bedrooms are conveniently located on the upper level and are great sizes with large closet space. The master bedroom gets added privacy at its own side of the home with an on-suite bathroom. The large laundry room is also located on this level. The main level boasts a nice open concept with a horseshoe style kitchen, a dining area with access to the backyard, and a large living space. 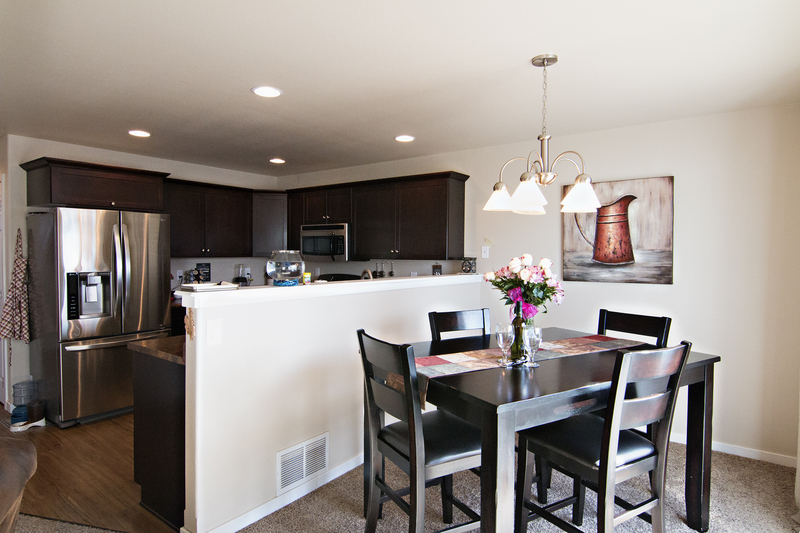 The kitchen features dark cabinetry complimented by stainless steel appliances. The bar area offers extra seating for entertaining. Another perk – the plasma TV in the living room stays. The home is situated on a lush, fully landscaped corner lot. 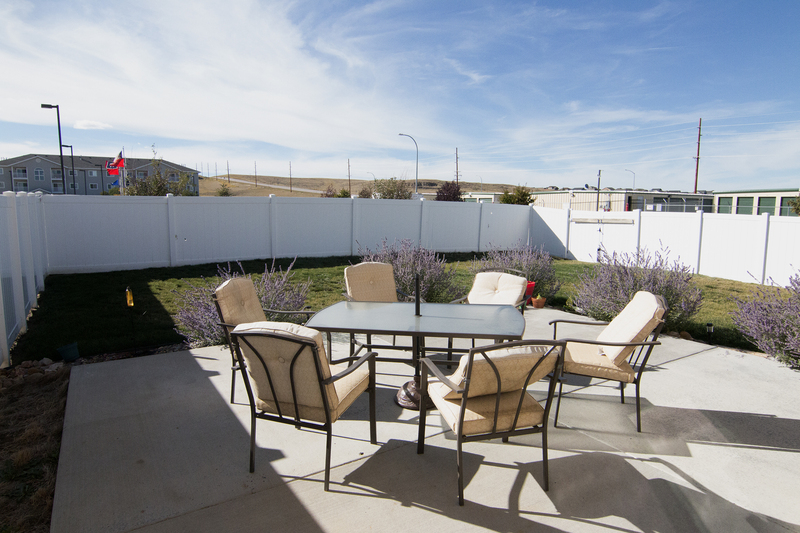 The large, fenced backyard offers more than enough space for kids and pets to play, and the patio space is great for those friendly bbq get togethers. A sprinkler system is already installed, cutting back on extra yard maintenance. The attached 2 car garage offers space for any extra storage needs. 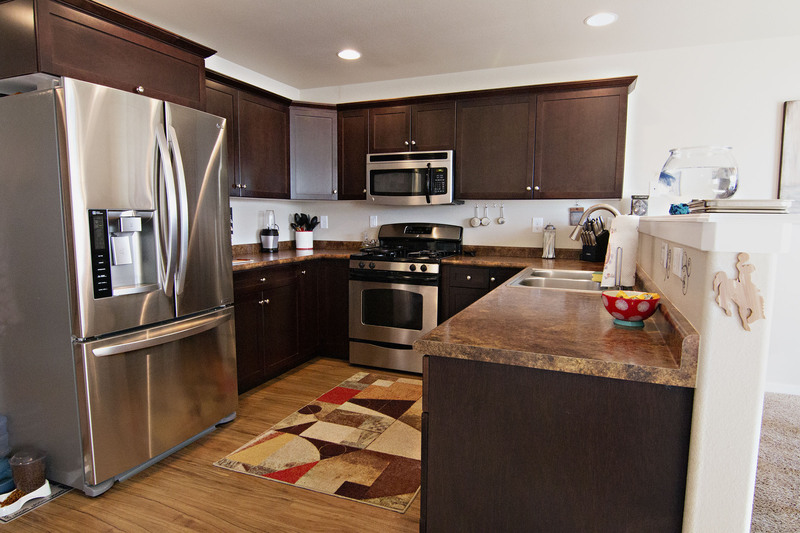 So if you’re looking for a tasteful townhome in move-in-condition keep 5300 Glock Ave in mind.